It really doesn’t get much more tropical or romantic than a honeymoon in Tahiti. 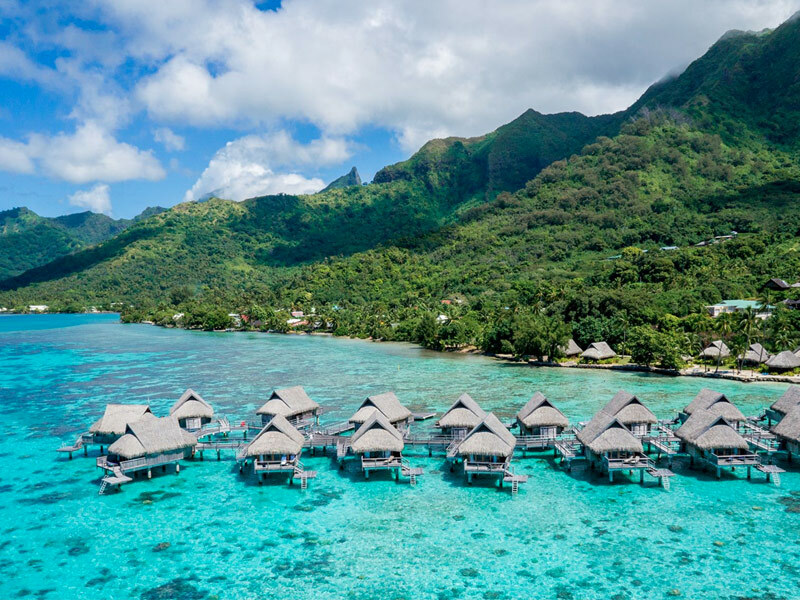 Just the name “Tahiti” conjures up images of over-water bungalows, thatched roofs, bright blue waters, and tropical cocktails with little umbrellas. It has become synonymous with paradise and is a truly magical place to spend time with the one you love. Tahiti is the largest island in French Polynesia and has a landscape of luscious rain forests, streams, and rivers. Here you’ll experience the best of sophisticated French culture and an exotic, laid-back island vibe. Another island, Moorea, is 11 miles northwest of Tahiti and deserves mention here too. After arriving in Tahiti by plane, you can hop on a half-hour ferry ride to reach the 53-square-mile island of Moorea, which is less developed than Tahiti. Both of these islands are home to beautiful and luxurious resorts that you can choose from. 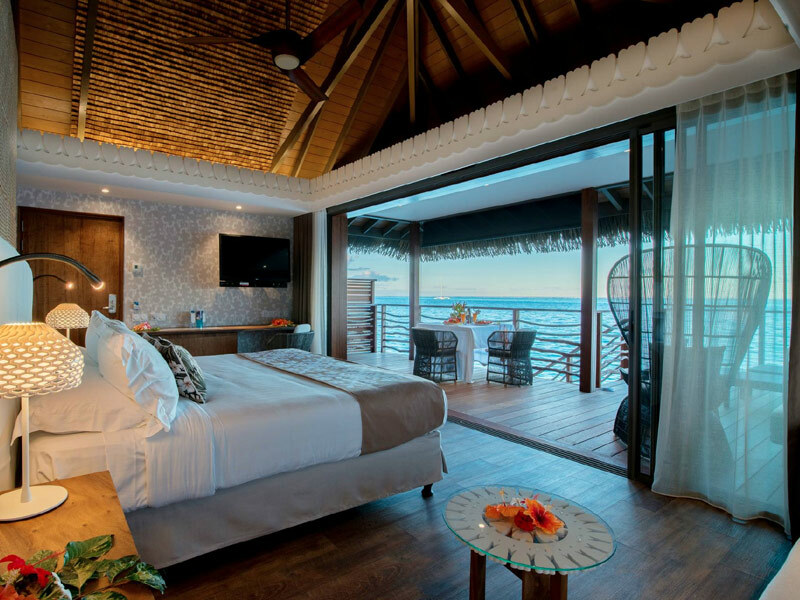 Let’s take a closer look at a few of the most stunning honeymoon resorts in Tahiti and Moorea. If you’re looking for large and impressive for your honeymoon stay, then look no further than the Intercontinental Tahiti Resort. 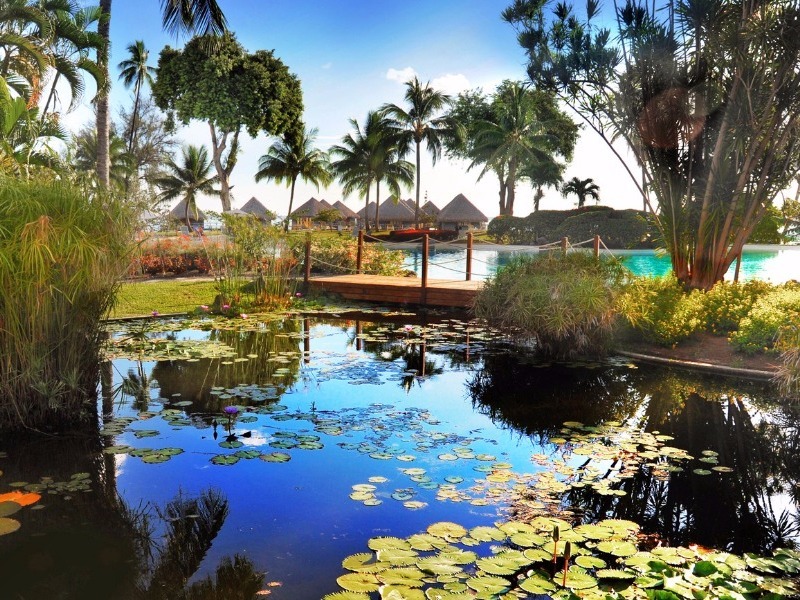 This is the largest resort on the island of Tahiti and a very convenient place to stay. There are 32 bungalows and 258 total rooms and suites here. This was one of the first resorts in the South Pacific, and there are lots of activities and restaurants here to keep you entertained. Pick this resort if you don’t want to be bothered by transportation hassles. 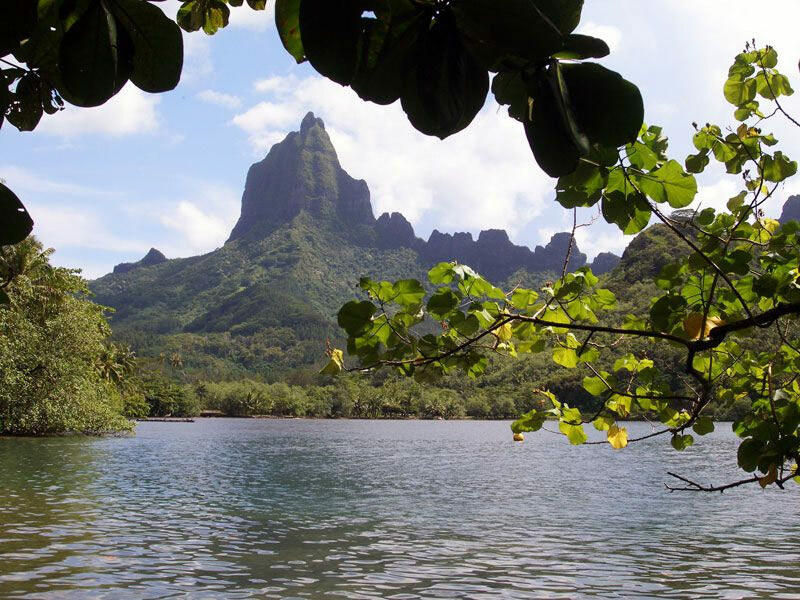 It’s close to downtown and is a great starting point for a French Polynesian adventure. The tropical gardens will instantly transform your mindset into a peaceful one, and the views overlooking Moorea will help you leave your worries behind. This is a great resort to choose if you’re looking for seclusion. It’s located on Moorea’s east side and along a wonderful white sand beach. It’s also conveniently located near the ferry and airport, so this is a good pick if you want to eliminate travel hassles. There are garden, beachfront, and overwater bungalows here that are elegantly designed and stylish. One of the most popular resorts in the area is the Le Meridien Tahiti, which is located along the island’s western coast. This is a secluded getaway that’s a bit further away from Papeete than some of the other resorts on this list. However, it’s still a small island and only about 15 minutes away from the airport. You can stay in an iconic underwater bungalow here at the edge of the lagoon and enjoy the romantic seclusion you’re looking for. There are 12 overwater bungalows and 149 total rooms and suites here. 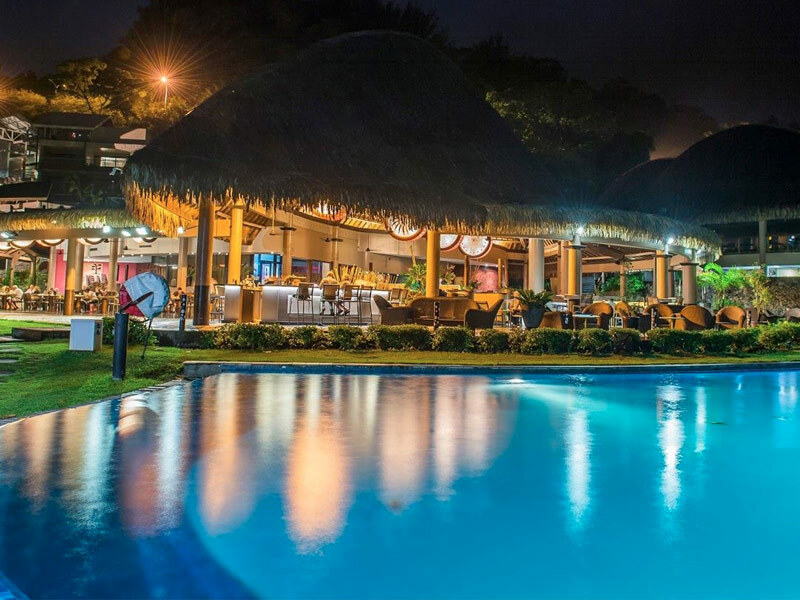 This well-established resort has many activities to keep you busy and excursions to entice the adventure-seeker in you. There are lots of restaurants and cultural activities nearby, and it’s a good starting point for exploring some of the other islands of French Polynesia too. If you’ve had your fill of white sand beaches for a while, why not check out the black sands of Lafayette Beach instead? Tahiti Pearl Beach Resort, which used to be known as the Radisson Plaza Tahiti Resort, is located here on the northeastern side of Tahiti. 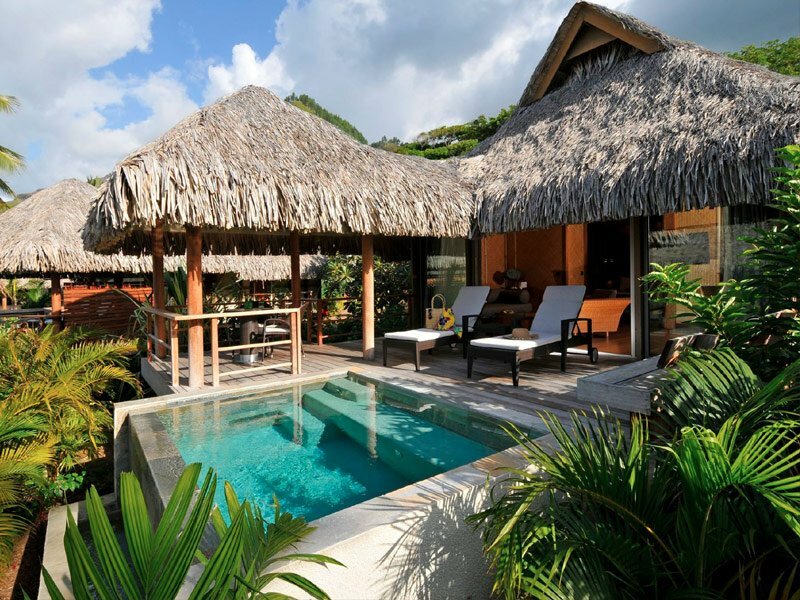 There’s a Manava resort on Tahiti, as well as on Moorea, that’s certainly worth mentioning as well. 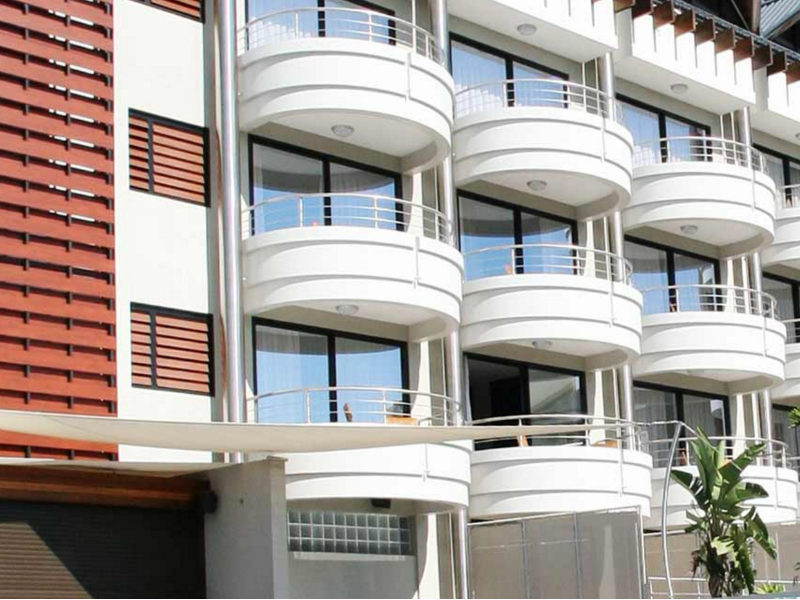 This is a very modern hotel that is along the water and offers lovely views of the island of Moorea. It’s on the western coast of Tahiti and comes with all the comfortable amenities you crave, including Wi-Fi and a kitchenette to cook your own meals. This is a popular honeymoon spot, but also a great place for families and business travelers. If you enjoy a good pool scene, book your stay at the Manava Suite Resort in Tahiti because there’s a large infinity pool that’s perfect for relaxing by. Now this resort is on a separate and small private islet, but it’s definitely worth mentioning here too. This is the place to stay for ultimate seclusion and to get in touch with nature. The Vahine Island Private Resort is about 30 minutes from Raiatea by boat, and it offers great views of the other islands. This boutique hotel is tucked away along the northeastern coral reef and is an ultimate getaway spot. Some of the hotels, like the Intercontinental, have been around in Tahiti for quite some time, while others are new on the scene. Hotel Tahiti Nui is a newer hotel here that is great for young and trendy couples on their honeymoons. This is an amazing location to be at if you want to be in the middle of it all – shops, restaurants, bars, and attractions. It’s in the middle of downtown Papeete, so getting around is easy on foot. Hotel Tahiti Nui offers a lively atmosphere that is just as exciting as it is relaxing. One very interesting place to stay in this area that isn’t exactly on the islands, but close enough by for mention is the Aranui 5. This is a cargo freighter that operates as a cruise ship, so you can visit the islands from the comfort of a luxury cruise liner. Ships depart from Papeete on Tahiti and includes everything you’ll need during your stay. 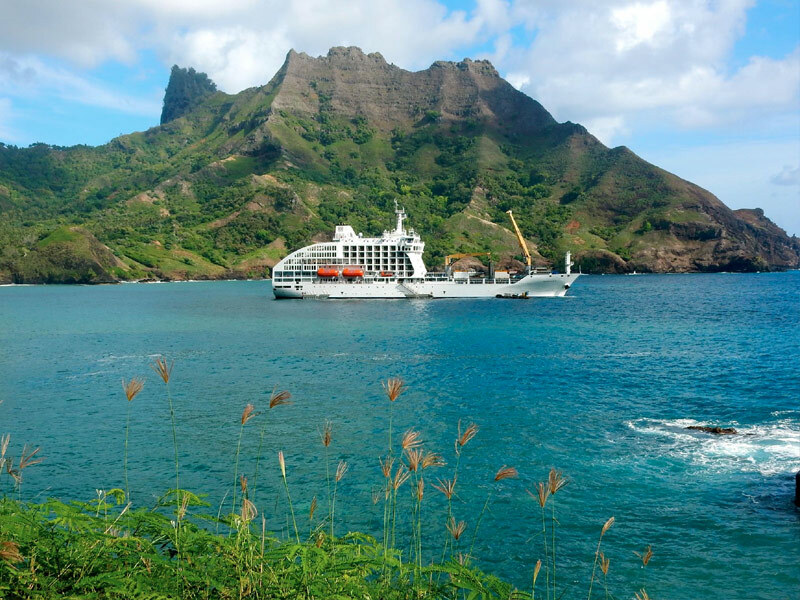 After arriving on the main island of Tahiti, this is a great way to see the smaller and more remote islands, like Ua Pou, Hiva Oa, Tahuata, and Ua Huka. One of the most charming resorts in this area of French Polynesia is the Manava Beach Resort and Spa. Unlike some of the big-name resorts that you’ll find here, this one has a boutique hotel feel and a very friendly and welcoming atmosphere. 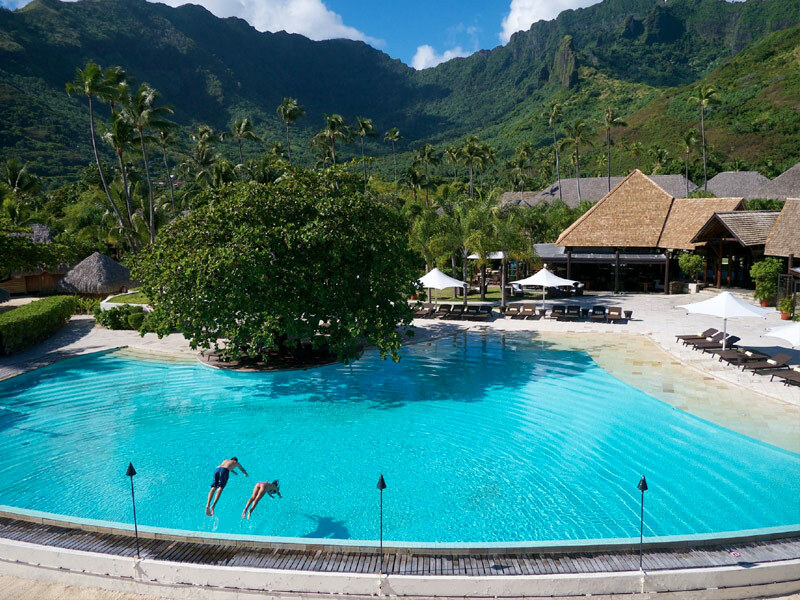 This resort used to be known as the Moorea Pearl Beach Resort, so you might be more familiar with that name. It’s on the northeast coast of the island. 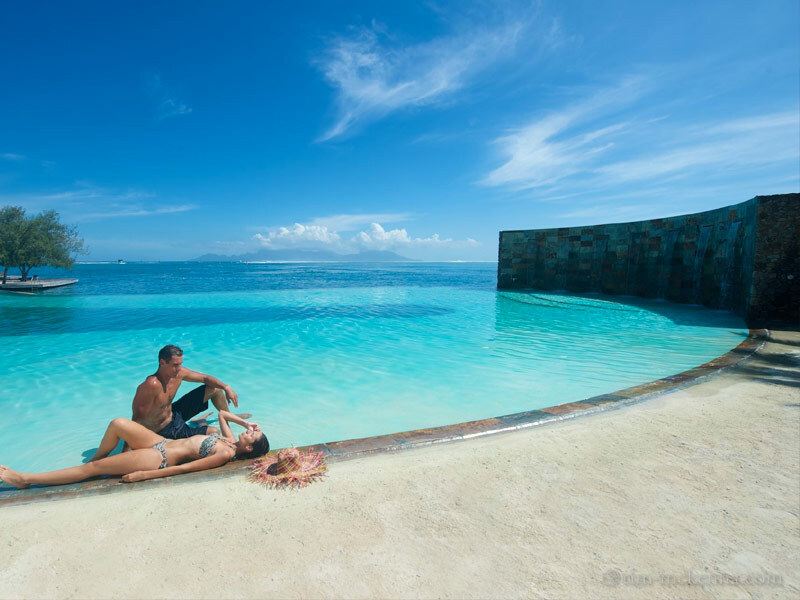 This is a favorite resort in Moorea among both couples and families. It’s on the northwest side of Moorea and near the beautiful mountainous area. You have a few different options to choose from when you stay here, depending on your budget and honeymoon desires. 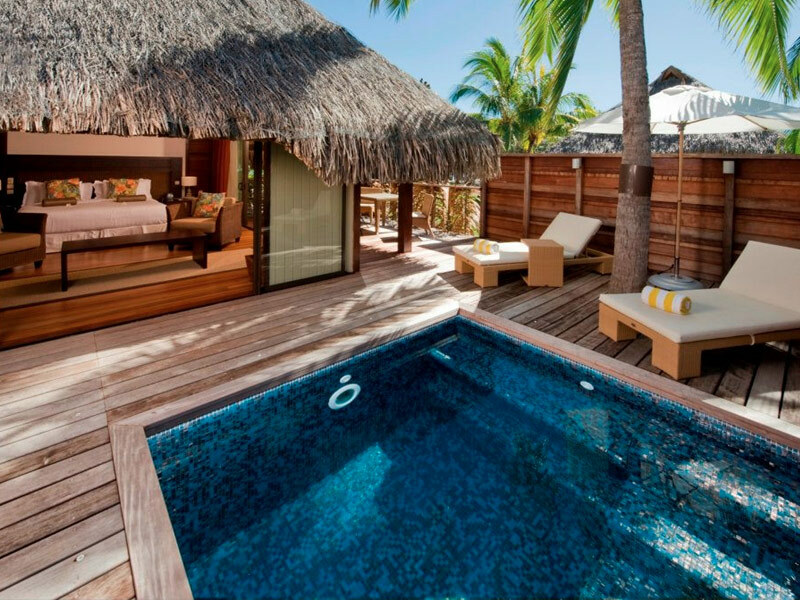 There are garden rooms, beachfront suites, and over-water villas that are all relaxing and serene choices. 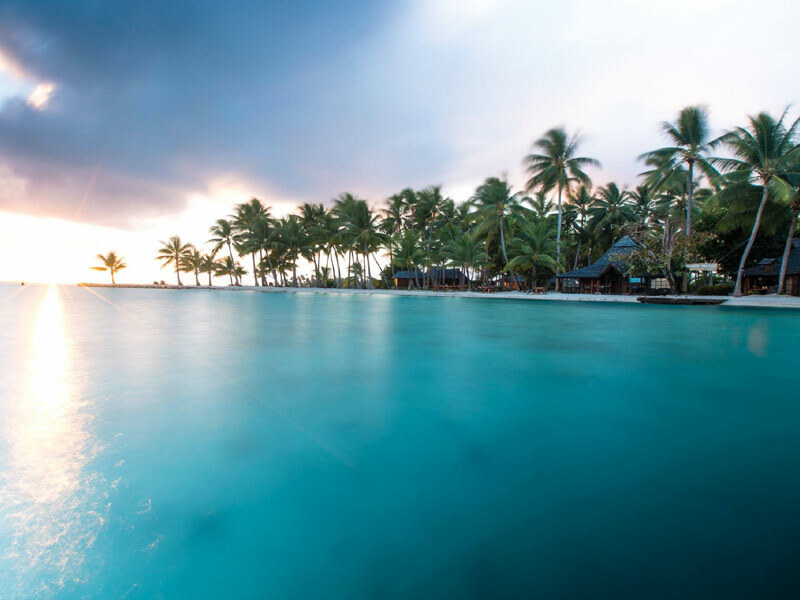 Another great resort on the island of Moorea is the Hilton Moorea Lagoon Resort and Spa, which is right between the island’s two bays and on a lovely beach. This is a lovely place to watch both the sunrise and the sunset, which is a truly romantic phenomenon. You can reach this hotel by ferry or car from the airport. 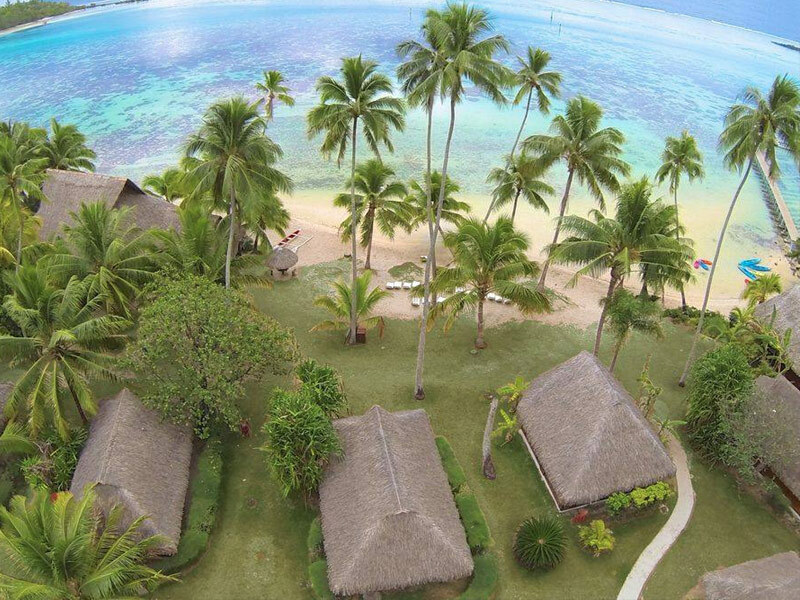 If you’re looking to get away from the big tourist centers and enjoy nature on your honeymoon, consider a stay at the Linareva Moorea Beach Resort. This is a small hotel that is on the wild side of the island and close to beautiful treks on Moorea and the surf spot of Haapiti. There are nine different units that make up this resort, including garden studios, beach suites, beach bungalows, and garden villas. Breakfast is served between 7 am and 9am when you make a reservation. Head to the northwestern coast of Moorea to stay at a boutique hotel called Les Tipaniers, which is just as charming as you could ever hope for. This is a great place to stay for couples that love to shop because it’s right by the local shopping center, Le Petit Village. After picking up a few souvenirs, you can stay in quaint bungalow with a private terrace and a view of the garden or beach. There’s a beach bar and restaurant here that serves local specialties like traditional Tahitian fish, sashimi, and tuna tartare. The bar is open all day on the beach, and you can listen to live music with traditional guitar and ukulele on Friday nights.